On the 10th & 17th Wahoo’s Tacos is opening at 7am, Cavanaugh’s University City, New Deck Tavern and Slainte will open at 9am. Buses start around 11am at which time ALL locations will be open. Buses stop running at6pm. There will be ONE bus running in a loop between 39th and Sansom and 2nd and South for Cavs Headhouse, the rest of the buses will be running the full route from West Philly to Center City to Fairmount and back to West Philly. Liberty Bar, Bonners (the Armory) and Cavs Rittenhouse will all be part of ONE Center City stop, which will be at the corner of 23rd and Market st. 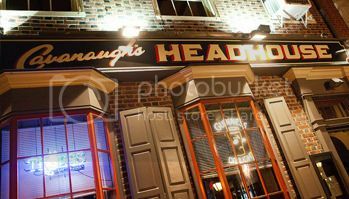 Check out Cavs Headhouse for our first Whiskey vs Whisky event! We’re proud to host ambassadors from Tullamore D.E.W. Irish Whiskey & The Balvenie Scotch Whisky as we sample multiple varietals side by side. $35 per person includes: whiskey/whisky tastings & light appetizers. A winner will be crowned so come out and support your preferred whisk(e)y….CHEERS!